I have a soft spot for adorable animated movies, so I was excited about The Secret Life of Pets from the moment I first saw the trailer. What better way to hook an audience than with a trailer that makes pet owners of all kinds shake with laughter and nod in agreement when they see pixelated depictions of the shenanigans (albeit greatly exaggerated ones) in which they imagine their non-human companions participate when those pets are left to their own devices. Pets is the story of Max (voiced by comedian Louis C.K. ), a loyal pup whose world is turned upside down when his dog-loving owner brings home a large and graceless mongrel, with whom he is forced to share their Manhattan flat. The opening sequence, which shows various pets engaging in silly activities after their owners leave for work, soon gives way to an actual plot, and for that I was thankful. While the jokes were funny, they would have worn thin quickly if they had been stretched into the film much further. While Max and his rude new roommate Duke (Modern Family’s Eric Stonestreet) are out on their walk, they find themselves getting picked up by animal control after a series of unfortunate events, and it is there that the plot thickens. The pair meet Snowball, a sociopath of a bunny who leads a rabble of outcast animals who are bent on striking back against their former owners who abused or neglected them. Snowball is voiced by Kevin Hart, whose omnipresence in Hollywood has become nails-on-a-chalkboard irritating, but he was actually oddly tolerable in this. Max and Duke become unlikely allies as they dodge animal control, evade Snowball and his band of murderous back-alley strays, and stumble upon a sausage factory in a scene that seems like one giant, veiled drug reference. 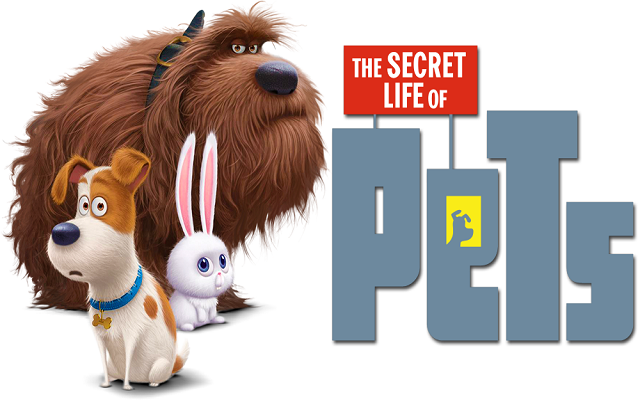 The Secret Life of Pets is an entertaining, superbly-animated glimpse into the lives of our furry companions, offers a decent plot that keeps it from being a one-trick pony, and is well worth the watch for children and adults alike. Thank you for reading my review and for reaching out! I did enjoy The Secret Life of Pets, and while it was not my favorite animated movie, I felt like it was a good time. I have not seen Zootopia yet, but I’ve heard great things about it and it’s definitely on my list. I did see Inside Out and enjoyed that as well. I’d be happy to read your review!